Here are four policy and market opportunities that can help boost agricultural resilience. Given the challenges ahead, we need to remove impediments to action. While conservation programs at the national and state levels play an important role in advancing agricultural viability and environmental improvement, too often red tape hinders their effectiveness. Instead, state and federal policymakers should be coordinated in setting goals for measurable environmental outcomes and give farmers flexibility to figure out how to achieve those goals in the ways that work best for them. Crop insurance, an essential safety net to help farmers manage risk, can be a powerful tool to advance resilience on farms. With some targeted changes, such as recognizing and providing rate benefits, crop insurance can encourage and reward farmers for implementing conservation practices that improve environmental outcomes and reduce the financial risk of crop losses from hail, droughts, floods and other extreme weather. 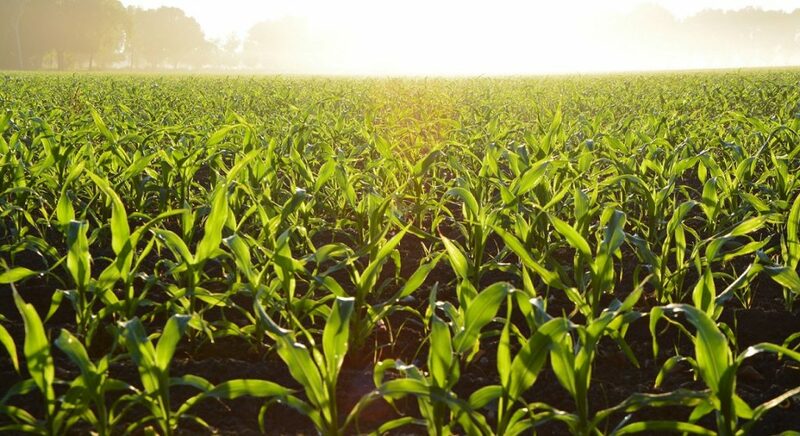 By linking crop insurance with conservation practices, farmers will be able to insure their fields and crops against losses while also increasing resiliency and improving their bottom lines. Ecosystem marketplaces, where there is an economic value placed on an environmental benefit, provide additional opportunities to advance agricultural resilience and conservation. Without sufficient data, however, farmers, conservationists and investors can’t leverage the full opportunity ecosystem marketplaces present. Successful markets require access to data to document, measure and monetize the environmental services that farmers produce. A recent report from Environmental Defense Fund and K·Coe Isom AgKnowledge found that on-farm conservation practices generate measurable financial benefits for farmers and their business partners, including landowners, lenders and insurers. With greater access to data about the economics of conservation, the farm financial system can better support farmers looking to adopt conservation practices. Public policy can also help close conservation data gaps. The next farm bill, for example, can improve the availability of existing USDA conservation and economic data while also protecting producer privacy. The U.S. lags dangerously behind the world in investing in agricultural research. This gap has serious implications for the resilience of our agricultural sector, especially as we try to increase food security in the face of a growing population and a changing climate. Public and private research have important and complementary roles to play. For example, public funding has advanced knowledge on water quality, soil health, climate change and crop rotations. Private funding has advanced variable rate, mapping and other precision agriculture technologies. The agriculture sector needs ongoing and expanded research investments from both sectors. Public-private partnerships can also help maximize research investments and get conservation innovations into the field faster. We need large strides in policy, increased market opportunities, innovative approaches and collaborative partnerships to ensure U.S. farmers continue to provide a resilient and sustainable food supply for generations to come. This post originally appeared on AgWeb and is used with permission. This entry was posted in Climate Resilience, ecosystems, Partnerships, Sustainable Agriculture and tagged ag tech, agricultural research, conservation, crop insurance, ecosystem marketplace, farm bill, Farm Journal, farmers, investors, National Corn Growers Association, NCGA, resilience, USDA. Bookmark the permalink. Both comments and trackbacks are currently closed.